St. Michael’s Cross Country teams swept the 5A District 4 Championships at Dell Diamond in Round Rock on Friday, October 22. The men’s team led with the one-two punch of Jackson Long and Joe Lawler, who crossed the finish line well ahead of the competition in 15:45 and 16:48 for the 5k course, respectively. They were followed by fellow Crusaders Nathaniel Mahoney (5th), Lachlan Thomas (9th), Nicholas Terracina (10th), Jackson Laughery (11th), and Alex Garcia (17th). The men’s team easily outdistanced second place Brentwood Christian 27 to 78. The Lady Crusaders were equally as dominant. Led by Kinga Parrish's second place in a season best time of 11:40 for two miles, the Lady Crusaders swept the next six spots. Mary Hodapp was 3rd in 12:00, Camille Terracina 4th in 12:16, Sydney Osgood 5th in 12:20, Cadence Layne 6th in 12:27, Gabrielle Bliss 7th in 12:29, and Finola Thomas 8th in 12:40. Ellie Greff took 12th, Lyla Senna, 15th, and Veronica Hodapp finished 20th to round out the Crusader finishers. SMCA trounced second place Regents 20 to 43. Crusader Joseph Eichorst took the District JV title in 19:16 for 5k, with Johnston Daboub taking third and Grant Lawler 4th. 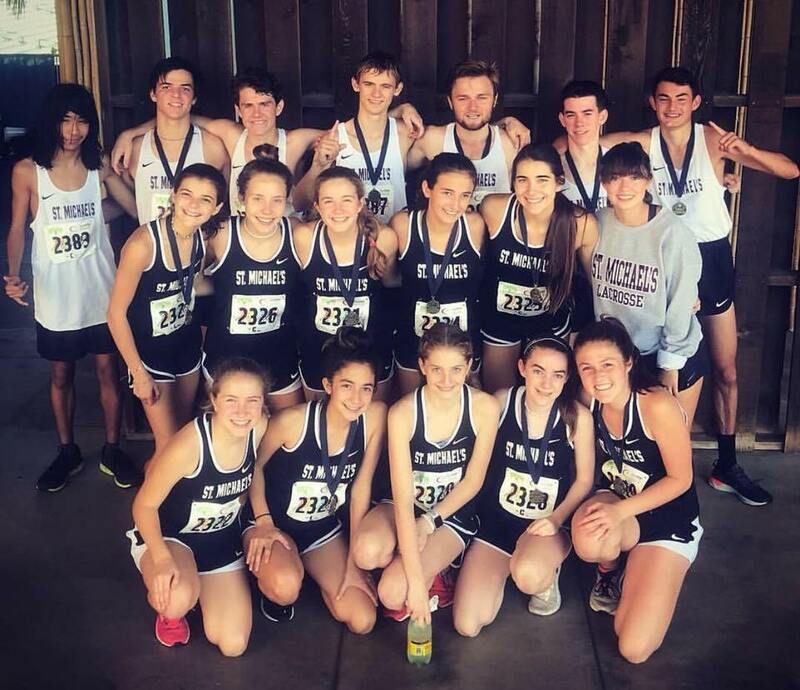 The only remaining meet for Crusader cross country teams is the TAPPS State Championship meet in Waco on Monday, October 29.